Normally our live sky shows feature what's visible from the Bay Area, but in this program we'll view the sky as seen from other latitudes. Learn what the skies look like from the Earth's polar and equatorial regions, and how from those places sky objects move throughout a day/night cycle. We'll find southern constellation figures such as the centaur, phoenix, peacock, crane and Southern Cross, southern bright stars, and the Magellanic star clouds. 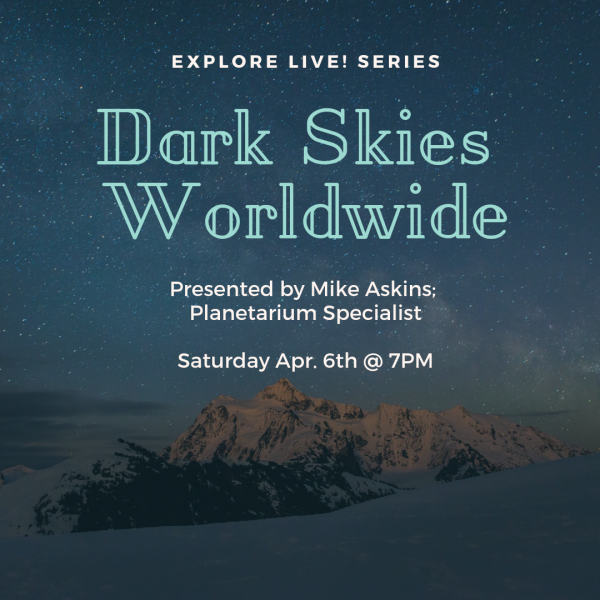 This is a live astronomy presentation with Mike Askins, planetarium specialist. For audiences 8 yrs and older.